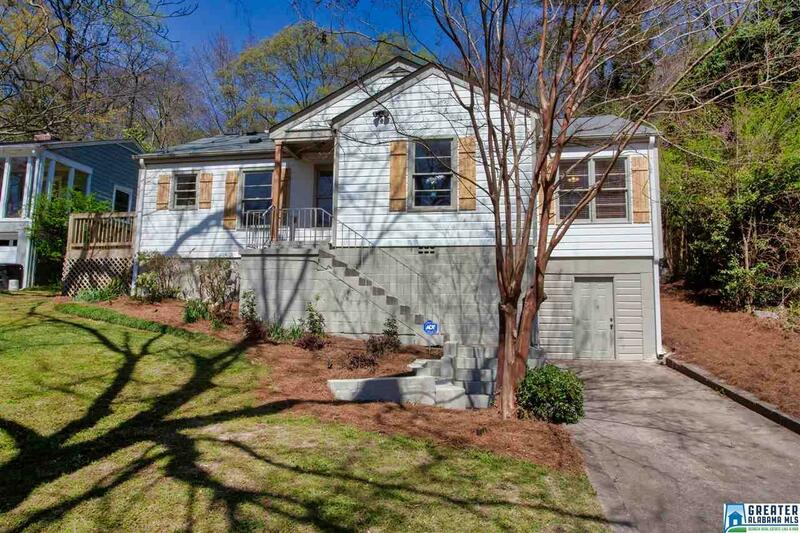 1942 20th Ave S, Birmingham, AL.| MLS# 844211 | Richard Jacks UABLIVING.com 205-910-2297 | Birmingham AL Real Estate | Contact us to request more information about our Homes for Sale in the Birmingham AL area. Great location and updates throughout! The home has been freshly painted inside and out. The old small kitchen has been taken down to the studs and expanded and opened up to the dining room. The entire kitchen features brand new cabinets, counters, stainless appliances and includes a new refrigerator. Access to the side and back deck from the kitchen.The living room has a wood burning fireplace and is open to the dining room and kitchen. The office is located off of the living room and is full of sunlight. The windows have been reglazed. The hardwoods have been refinished throughout. The laundry connections have been moved upstairs to the main level into a hallway closet. There is a combination washer and dryer provided. All 3 bedrooms are located off of the living spaces. The master bedroom has an en suite and backyard access. The other 2 bedrooms have a full bathroom located between them. There is a new electrical pane, new HVAC, new gutters, and many more updates! Come see it today! Driving Directions: Going North On 18th St From Homewood, Turn Right Onto 20th Ave. Home Is On Left.